Home > What is Allicin? Allicin is a powerful antibacterial agent that can be used to treat and prevent the spread of a variety of bacterial infections. Although allicin, the active ingredient in garlic, has been around for centuries, knowledge of its antibacterial properties has mainly been passed down without investigation into the mechanisms that help allicin to kill and inhibit bacterial growth. Scientists are only now beginning to study the effects of allicin on a variety of infections and ailments and what they are discovering is miraculous. Willl allicin treat E. Coli and other bacterial infections? In recent scientific studies, allicin in its pure form has demonstrated antibacterial activity against a variety of gram-positive and gram-negative bacteria including drug resistant Escherichia coli (“E. Coli”). 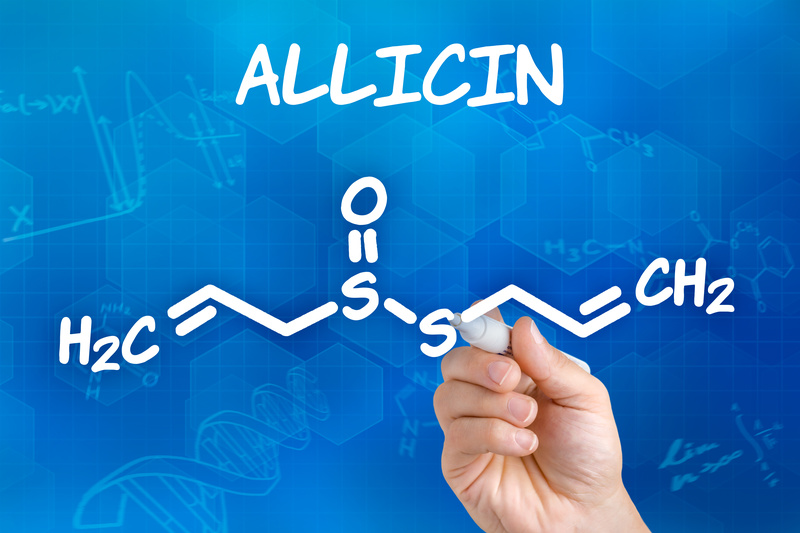 allicin’s effects on bacterial infections are due in part to the chemical reaction it induces when it comes in contact with various enzymes present in bacterium such as alcohol dehydrogenase, thioredoxin reductase, and RNA polymerase. This inhibits essential processes in the bacterium. Studies on the effects of allicin on strains of E. Coli bacterial have shown that allicin has significant powers in inhibiting the spread of existing E. Coli infections. Various bacterial strains that were otherwise resistant to traditional antibiotics have been shown to be sensitive to allicin.